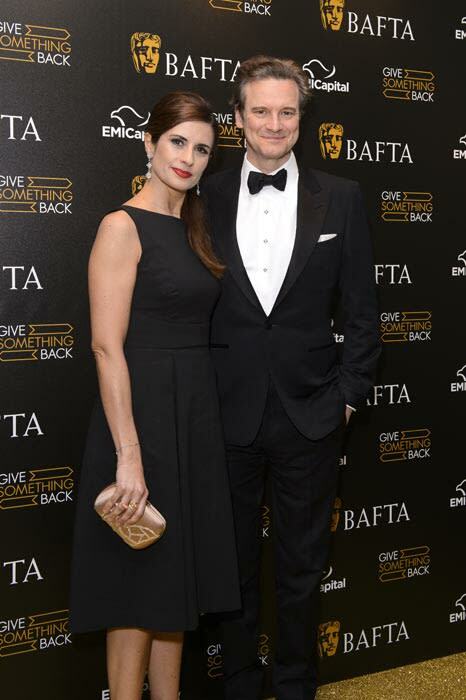 We chat to Colin Firth's Livia about new fashion line with M&S | HELLO! Businesswoman and environmental campaigner Livia Firth has turned her hand to fashion design for the first time to create a new line with Marks & Spencer. The wife of Colin Firth, who is creative director of sustainability brand consultancy Eco-Age and co-founder of the Hollywood A-list Green Carpet Challenge, has created a capsule collection of classic, timeless staples – all sustainable, of course. We caught up with the star, who told us about Colin's reaction to her new venture and why she chose to collaborate with M&S. "It's nice to be in a partnership with M&S and hopefully we are going to be working together forever," she told us. "They have very strong values and a green thread running through their business, which is very rare for a big company." Asked about Colin's reaction, she said: "He said, 'You are a designer now; it's a new phase for you'. We were laughing together. I feel as if I have had so many lives – a documentary maker, green carpet campaigner and now designer." Speaking about the gorgeous handbag from the collection, available in a variety of colours, Livia told us: "I wanted to design a roomy bag that could contain your laptop and make-up case but I also wanted it to be simple and playful, which is why I've added the tassel and pink lining. "The idea for the clutch came from the bag – it fits into the tote and has special pockets for all your cards as you don't want to have to carry your wallet when you're going out for the evening." Livia made sure to prioritise sustainability when it came to designing the collection. "Through my accessories collection I am particularly excited to give M&S customers the chance to access this leather supply chain in Brazil," said Livia, who travelled to the Mato Grosso region to work with ranchers first hand to understand the barriers and challenges. "You have to understand the mindset of these guys, and the huge shift they are going through by going green. A project like this can be a gamechanger. Its tells ranchers thousands of miles away that customers care about sustainability and major brands are prepared to invest in sustainable supply. The more ranches that transform, the more forest that is preserved." The capsule clothing and handbag collection is now on sale at the M&S Marble Arch store unti 15 February and available online at marksandspencer.com. Prices start at £49.50. Is this leopard print dress going to be the NEW M&S dress of the summer?